If you’re looking for above-average asphalt shingles, you can’t go wrong with TruDefinition® Duration® Shingles. 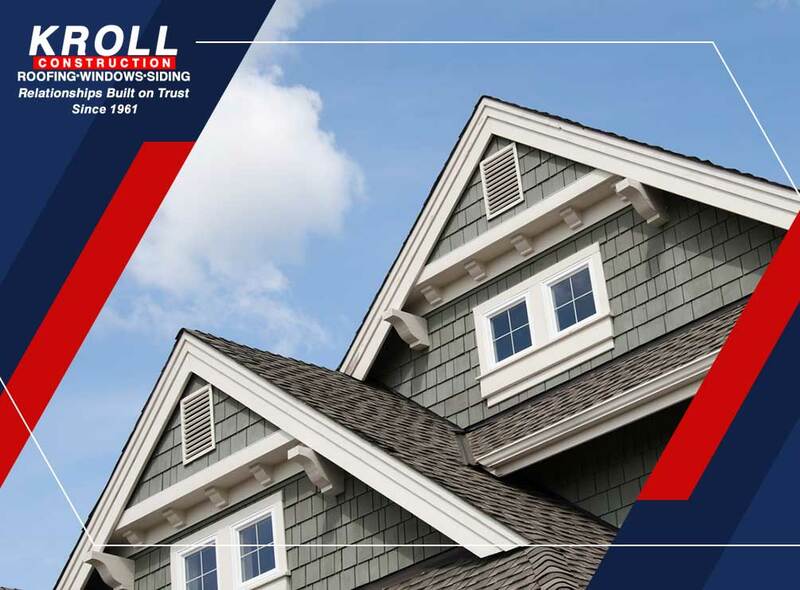 As an Owens Corning® Preferred Contractor, Kroll Construction is a roofing company who knows a thing or two about this amazing roofing material. Let us give you a closer look. The first thing you will notice with the TruDefinition Duration Shingles is the color selection. Owens Corning’s TruDefinition Color Platform lets them create shingles with bright hues. The maximum contrast enhances the dimensional look, resulting in curb appeal that stands up to close scrutiny. These colors are protected from stains caused by algae, thanks to StreakGuard™ Algae Resistance Protection. Owens Corning has also made choosing and matching colors easier, thanks to the Design EyeQ® app. It lets you virtually install TruDefinition Duration Shingles on a picture of your own home, which you can later print, save or share. You can even send it to us for an estimate. TruDefinition Duration Shingles are more than just beautiful, they’re also tough. Each Duration shingle features SureNail Technology, a breakthrough component that features an engineered fabric strip at the outer face of the shingle mat, and a special Tru-Bond™ sealant the bottom. This technology is exclusive to Owens Corning products, offered by roofing companies who are part of the Owens Corning Network. The fabric strip acts as a guide for nailing, ensuring an an error-free installation. It also reinforces the nail penetration points, which when combined with the Tru-Bond™ sealant at the bottom, creates an exceptionally strong seal that is so tough, it is warranted to resist wind speeds of up to 130 mph – the equivalent of a Category 4 hurricane. As part of the Owens Corning Total Protection Roofing System®, TruDefinition Duration Shingles also benefit from the technology that includes ice and water barriers, underlayments and hip and ridge shingles. When installed by an Owens Corning Preferred Contractor, your Duration shingle roof can be eligible for top-tier warranty coverage, which includes a limited lifetime material coverage, and up to 10 years workmanship coverage. To learn more about why roofing companies recommend TruDefinition Duration Shingles, call Kroll Construction today at (888) 338-6304. You can also fill out our contact form to schedule a free in-home consultation. We serve Detroit and surrounding areas in Michigan.